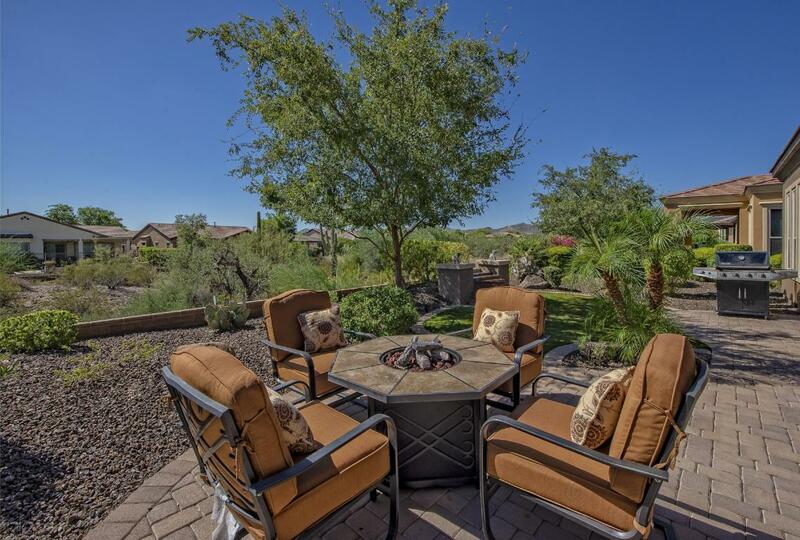 Spectacular DESERT SETTING & MOUNTAIN VIEWS! This SOLAR Libertas has been modified from the original design - TV drywall niche has been removed making for better flow & more open space. You'll also find an amazing crescent shaped kitch island that's different from the rest! The charming FRONT CRT YARD is very inviting. Inside you'll find a gourmet kitch w/ SS GAS appl (DOUBLE OVENS), RAISED PANEL cabinets w/ larger crown molding & GRANITE SLAB w/ custom back splash. Mbath is highly upgraded w/ GORGEOUS TILE & QUARTZ C-TOPS! The backyrd is an extension of the home w/ huge covered patio, extended w/ PAVERS & soothing WATER FEATURE - perfect setting to enjoy FABULOUS VIEWS! Add'l upgrades: BAY WINDOW, EXT GARAGE w/ cabinets, soft water, RO, doors @ den, new ext paint & drip system & more!! Sign up to take advantage of all this site has to offer. Save your favorite listings and searches – also receive email updates when listings you like come on the market! 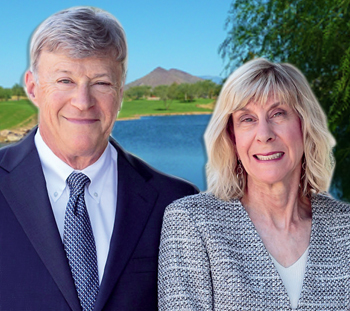 Long-time Vistancia residents with a friendly yet professional approach to help you with your home buying and home selling needs. Check out our reviews and testimonials. You will be pleased with our level of service which truly goes above and beyond. We, our licensed associates and staff provide not only honesty and knowledge but truly care about you, our buyers and sellers. We get results — we make it happen for you!